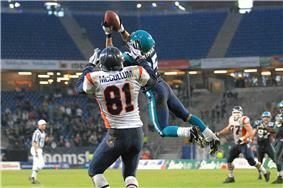 The Hamburg Sea Devils were an American football team that played in NFL Europa from 2005 to 2007. They played their home games at Hamburg's AOL Arena (also home to the Bundesliga soccer side Hamburger SV). They played their first game on April 2, 2005 losing 24-23 to the Cologne Centurions (who were the newest NFL Europe franchise before the Sea Devils). The Sea Devils' very first ever win came in Week 3 of the 2005 season, with a 31-24 home victory over the then-struggling Rhein Fire. Their first head coach was Jack Bicknell, previously head coach of the defunct Barcelona Dragons and Scottish Claymores. The Sea Devils had directly replaced the Claymores after the 2004 season. On April 1, 2006, the Sea Devils recorded first tie in franchise history. At home, they scored 17 points in the second quarter, against the Berlin Thunder. They had blown their 17-point lead before regulation ended. When no one scored in overtime, the game ended in a draw. This was only the second tie in the NFL Europa history. The previous tie came in the 1992 season between the Rhein Fire and the London Monarchs. The final score for that game was also 17-17. On March 29, 2007, Bicknell resigned, citing health issues as the reason. He was replaced by offensive coordinator Vince Martino. 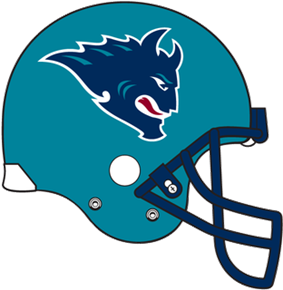 On June 23, 2007, the Sea Devils won their first World Bowl championship with a 37-28 victory over the defending champion Frankfurt Galaxy. It was also their last, as NFL Europa disbanded almost immediately following the game. As a result, the Sea Devils are the last team to win a WLAF/NFL Europe/NFL Europa game ever. The Sea Devils were brought to American media attention again on July 14, 2007, when 2006 team member Mike Jemison was arrested in Pennsylvania for robbery. Previously Thomas Herrion, an offensive tackle allocated to the team by the San Francisco 49ers, died after a preseason game against the Denver Broncos in August 2005. Current Miami Dolphins cornerback Brent Grimes also played for the Sea Devils.